September 12, 2018 - Dubai, UAE: Talented, young designer Alina Anwar Khan unveils her debut collection under the newly created brand, Alina Anwar Couture – a 17-piece assemblage that draws inspiration from old Hollywood and its Golden Age. Celebrating the most iconic leading ladies ever to grace Tinseltown, including Grace Kelly and Jean Harlow, the collection epitomises romance, glamour, strength and sophistication. Showcasing timeless elegance with a contemporary edge, the debut collection features floor sweeping gowns, flirtatious feather trims and classic cuts that embody luxury with an enigmatic flair. With a rich and luxuriant palette of rose gold, soft ivory, midnight blue, ruby and emerald, the collection combines opulence and mystery, with a touch of regal grace. 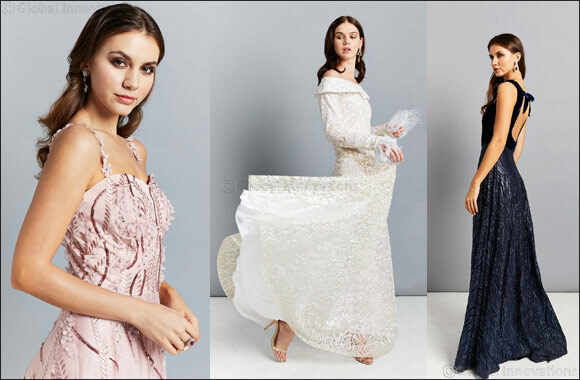 A majestic collection designed to take its wearer from a social soir�e to a high-society event with the confidence to make a statement, the collection aims to empower women to dress in a way that captures their identity whilst allowing them to shine.